Most wood turning pieces are going for a specific finished look. Learn the difference so you can plan ahead and have the right supplies on hand when needed. I think enough of oil finishes, and Tung Oil in particular, to give it a separate article for discussion and comparison. I have used the stuff for years and I will share what I have learned. Everyone asks me about Tung Oil, but nobody wants to use it because Tung Oil has a reputation for not being a “fast” finish, and not drying during the winter. It does take a lot of time. But, it is a simple and forgiving finish, and when done properly, its beauty is unmatched. Sometimes we try too hard to avoid the slow and simple things in our modern high-tech lives. A wipe-on oil with varnish resins is an ideal finish for the woodturner. It is easy to apply, very forgiving, easy to repair, and gives the wood a durable protective film that is not easily damaged by water, food acids, body oils, or solvents. The only negative to using varnish as a wipe-on finish is the time that is required to build a high gloss surface film, and the “blotchy” discoloration that is often associated with oil finishes. Any of the commercial or home-brew varnishes and oils can be used over Deft. The wiping varnish that I prefer is a home-brew blend. 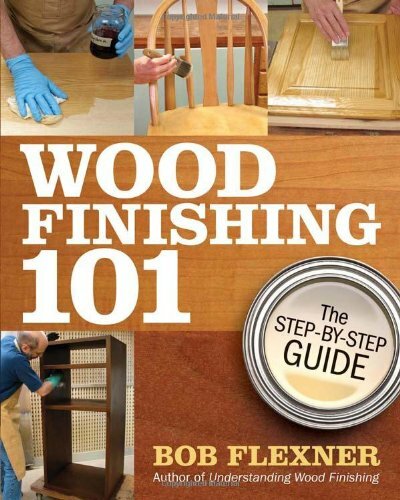 Many finishers advocate using a thin coat of shellac or commercial sanding sealers to prevent these problems. I prefer to use Deft because it hardens and seals the wood and accents the grain without discoloring the wood or leaving it with the muddy appearance that we get from sealers containing fillers. Making your own oil/varnish blends is a great way to save money. You can buy things like boiled linseed oil and mineral spirits in large gallon jugs, and then purchase the varnish as needed. I think its better to have a varnish component in the mixture for extra durability, unless you truly want an oil-only finish. Another advantage to mixing your own home brew is the fact that you will have total control over the finishes properties. Want a more close to the wood look and feel? Add more oil. Want more protection? Add more varnish. Want to make the finish easier to spread around the surface? Add more thinner. The possibilities are endless and you’ll be able to customize the finish to your needs and the needs of the project. This is a true glossy lacquer finish that I use on nearly all of my turnings. It can be used either “as is”, as a wood grain sealer, or as a base for a Tung- varnish- turpentine blend. Yes, they are all compatible, and everything is available at the local Home Depot, Ace Hardware, Lowe's, etc. The finish is described as being applied while the wood is still in the lathe, but it can also be applied on the bench, but we will have to rub harder and faster.